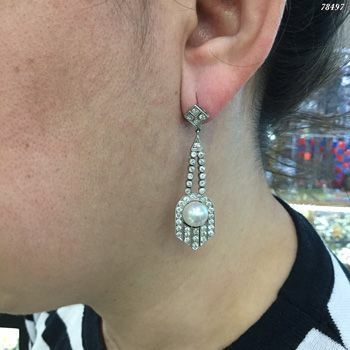 A stunning pair of Art Deco platinum mill grain earrings, featuring 2 cultured white pearls, approx. 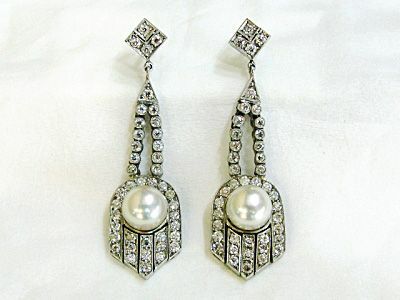 8.00-8.50mm and 84 old mine cut diamonds, est. 1.96ct (colour H-I & SI1-SI2 clarity).